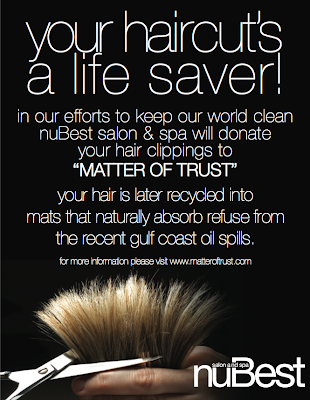 in a rare instance where seeing the words “hair” and “oil” in the same sentence does not elicit a frantic response, world-renowned beauty destination nuBest salon and spa has announced that it will be donating hair clippings to matter of trust, a nonprofit organization that uses the clippings to create mats and booms that soak up the refuse from the recent gulf coast oil spill. the innovative san francisco-based charity follows the logic that, since hair is one of the most effective natural materials for absorbing oil, hair-filled booms and mats are an environmentally conscious (not to mention cost-efficient) way to eliminate the waste from oil slicks. as a prominent name in the beauty industry with a longstanding history of philanthropic outreach, it is easy to see why nuBest’s owner, michael mazzei, would get involved with this hair-raising cause. 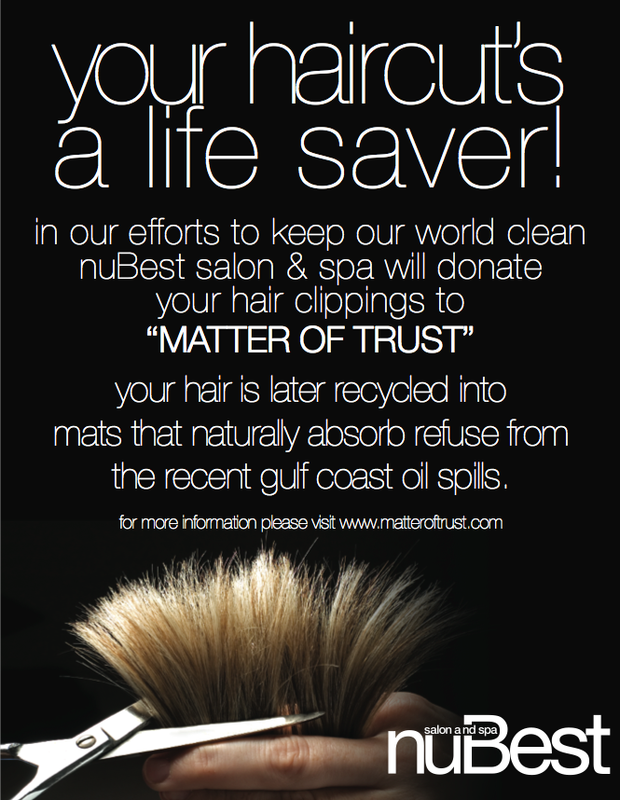 “i see protecting and beautifying the environment as a central aspect of my personal mission,” says mazzei, “so it was an obvious decision to contribute whatever we can to matter of trust.” for more information regarding nuBest salon and spa’s involvement with matter of trust, please contact richard piana (richard@nubestsalon.com) or gianna froccaro (gianna@nubestsalon.com).